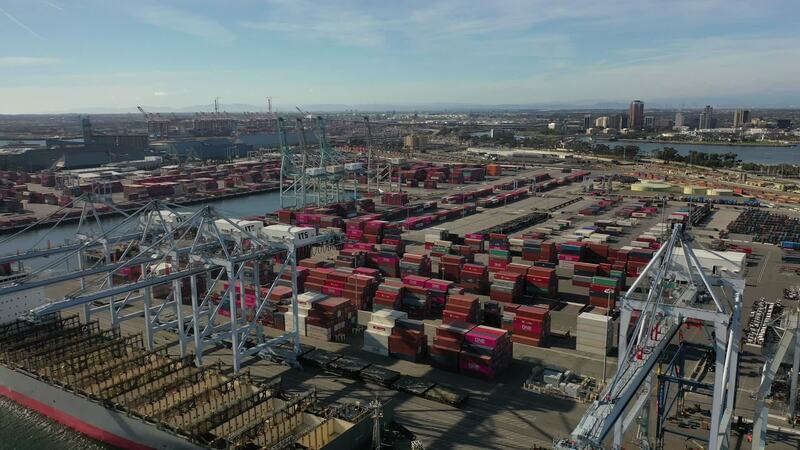 Description: Had a chance to drone both of the LA ports. They are almost right on top of each other in San Pedro Bay. Here is Long Beach.